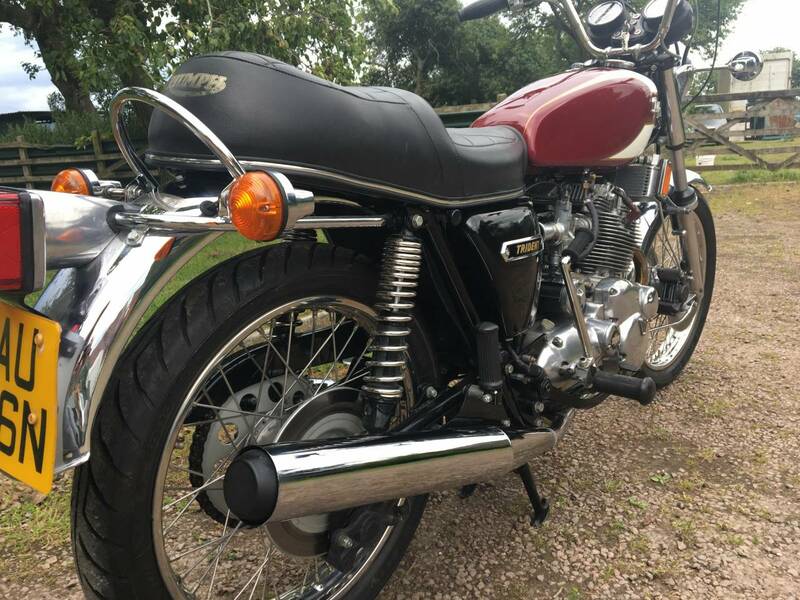 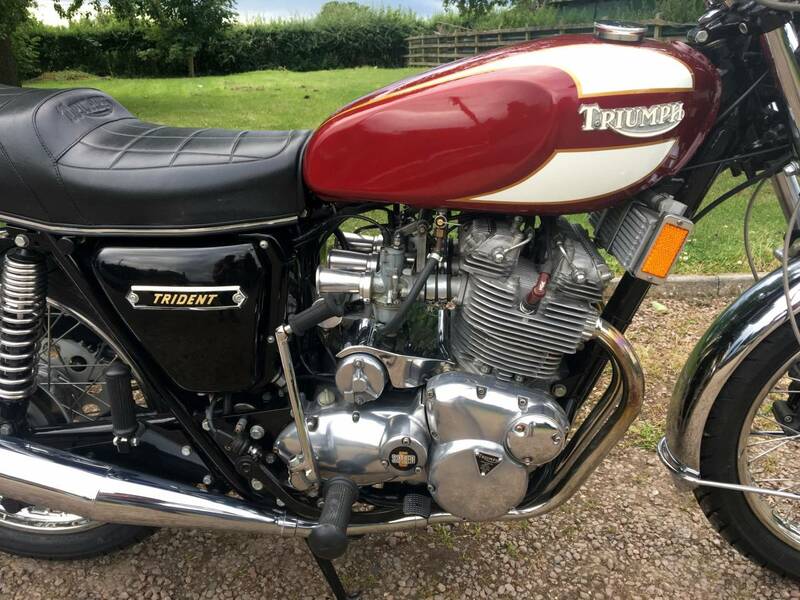 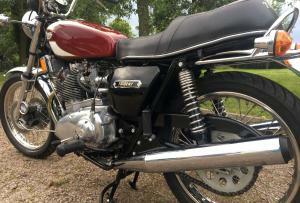 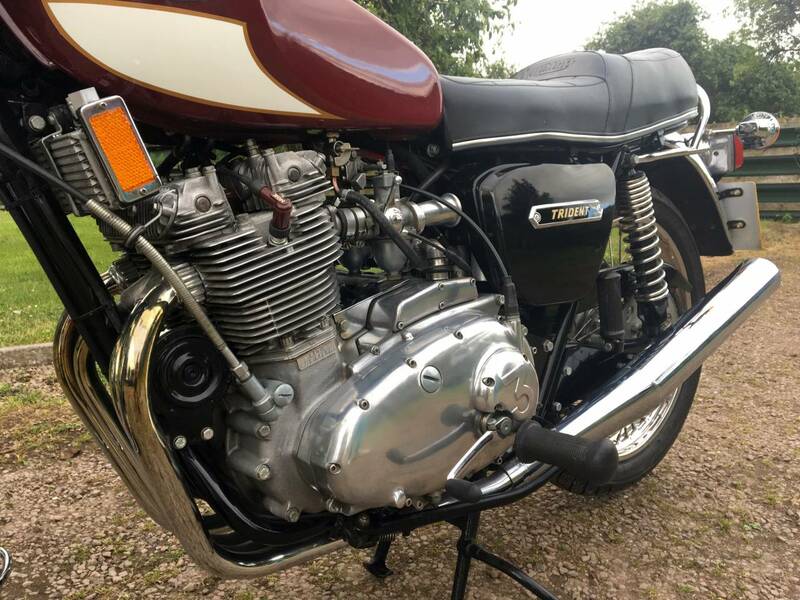 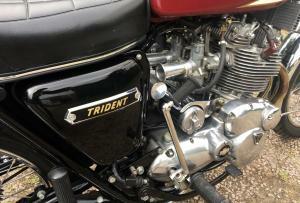 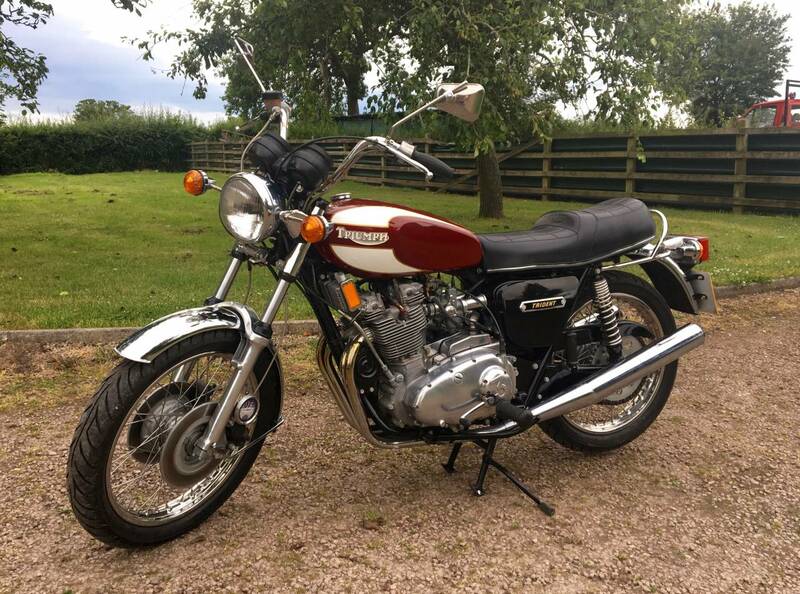 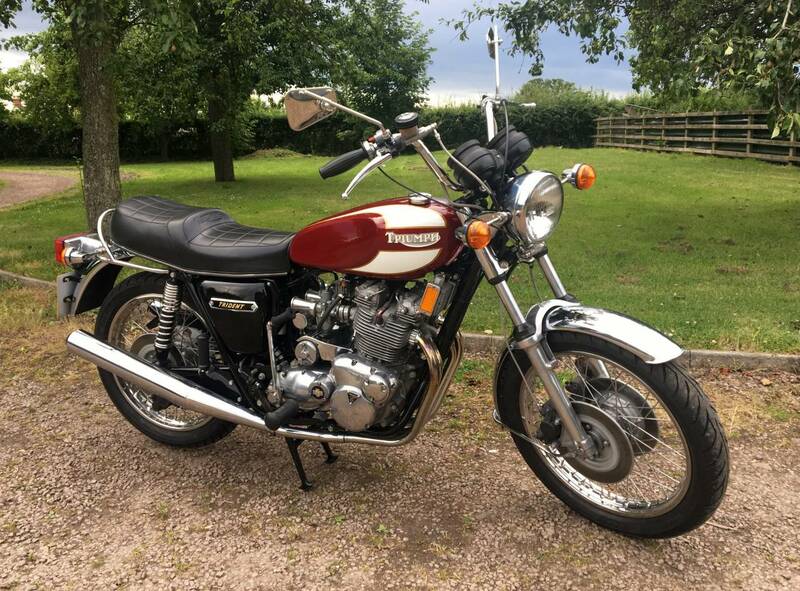 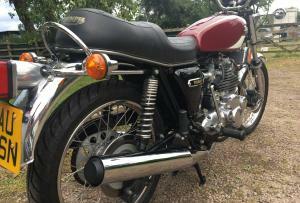 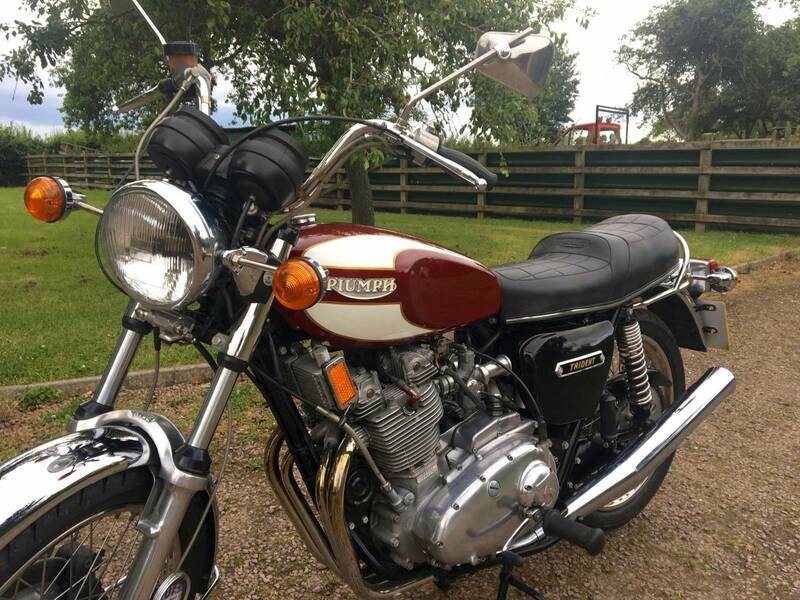 Triumph Trident T160 1975. 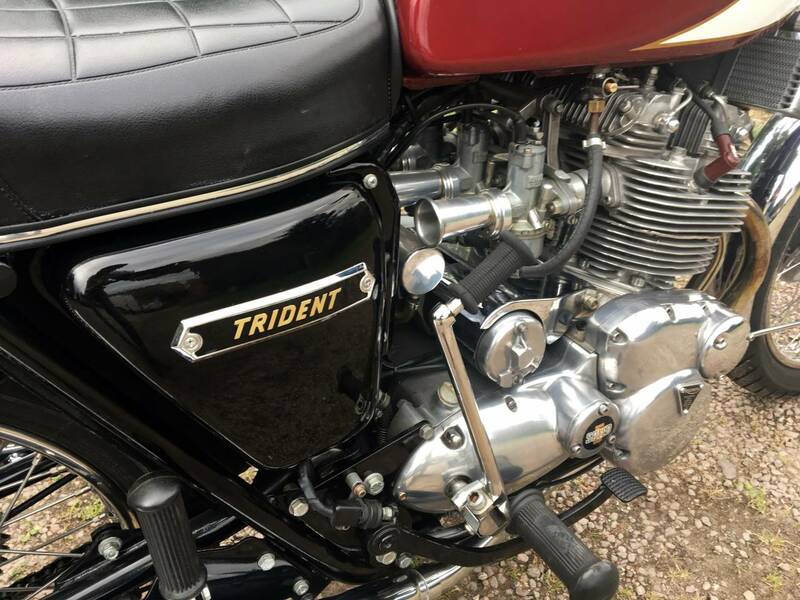 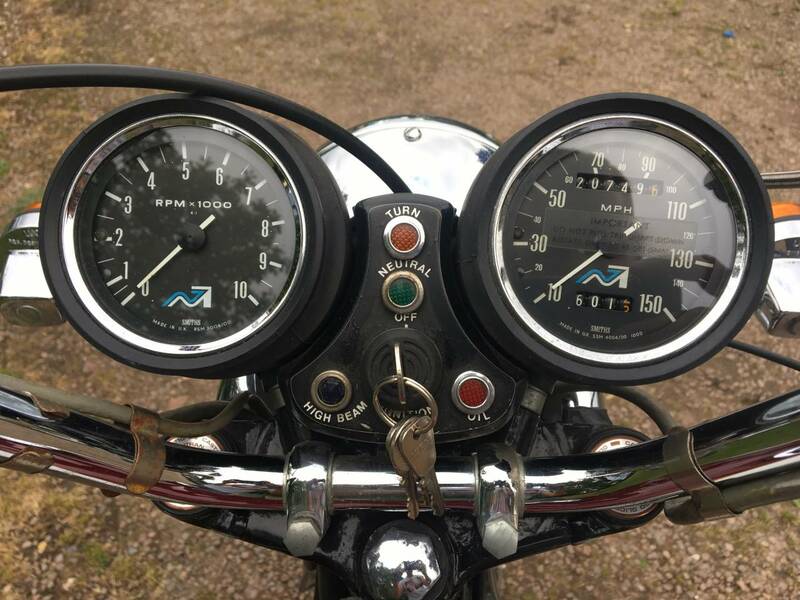 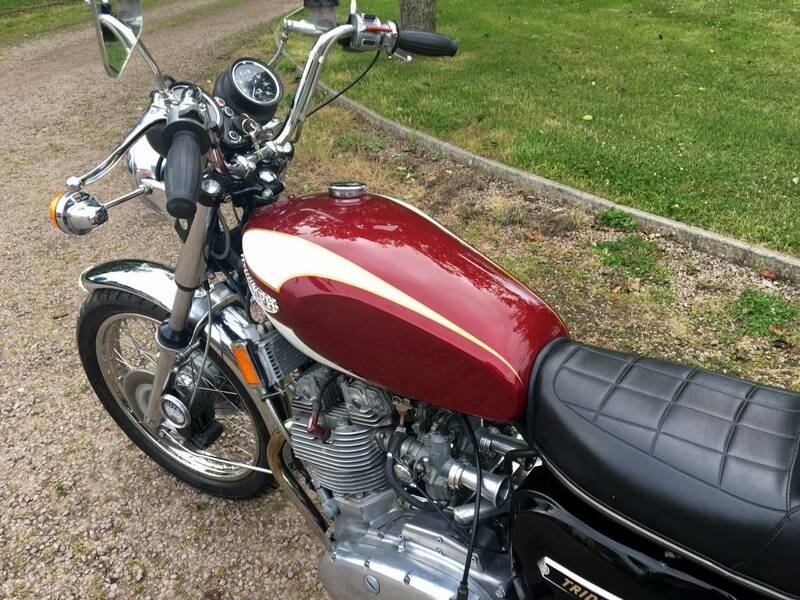 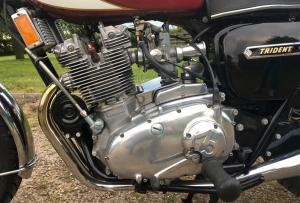 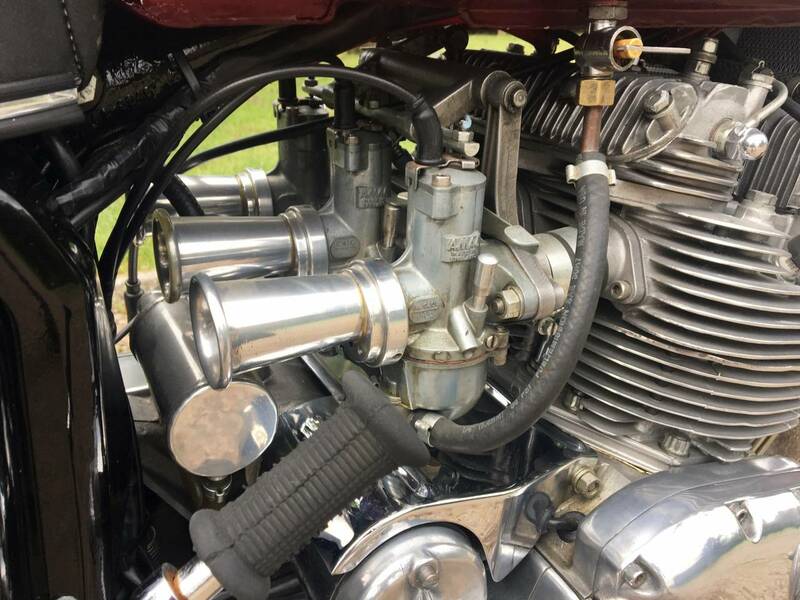 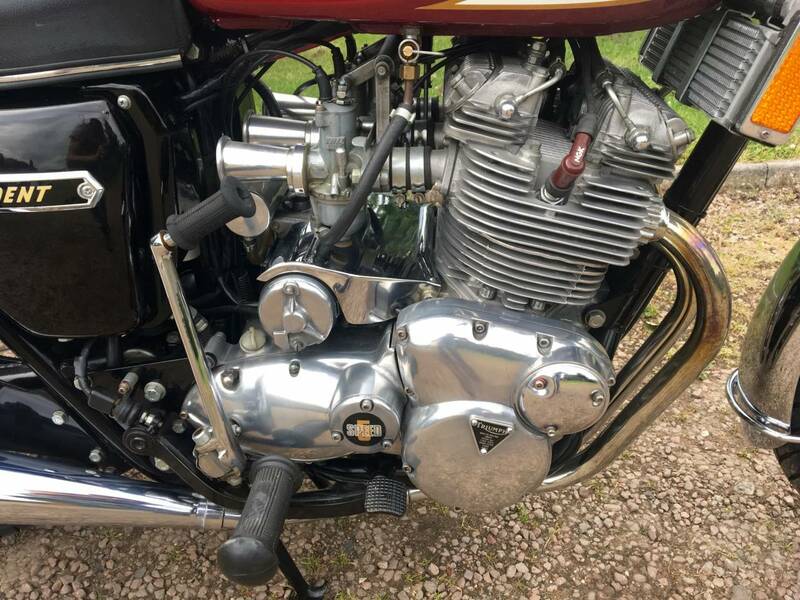 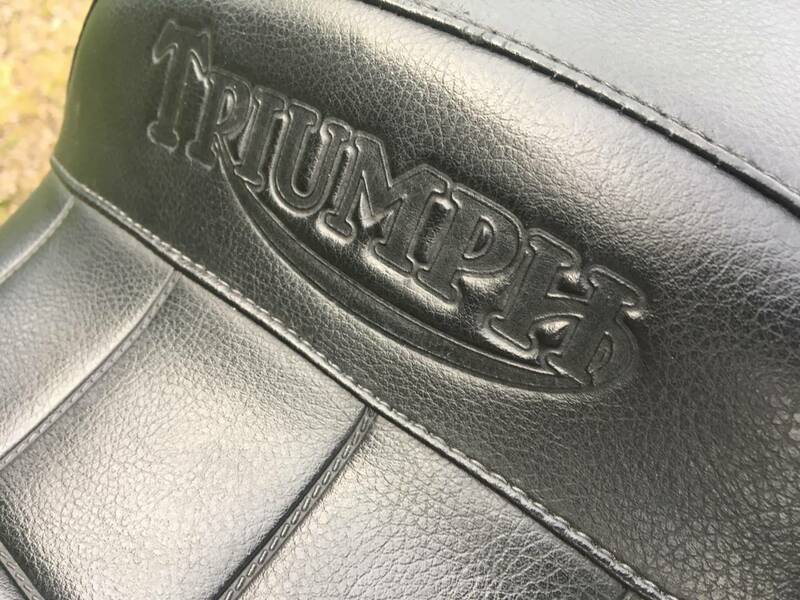 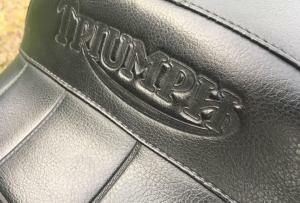 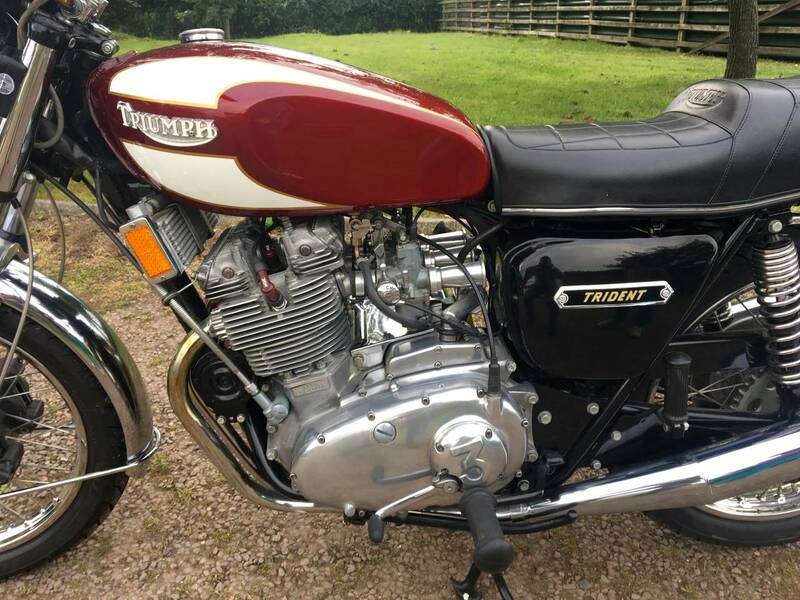 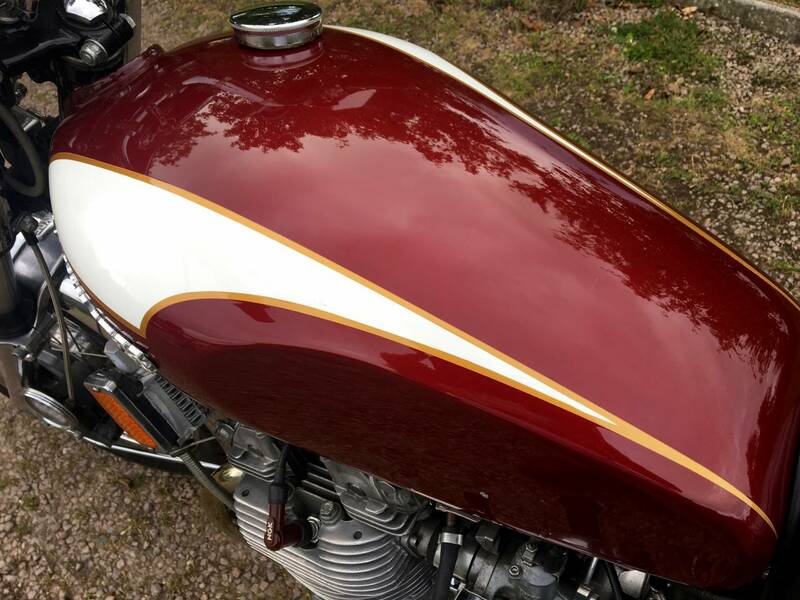 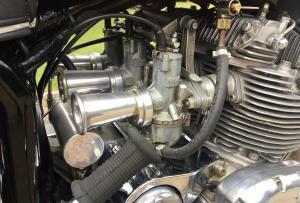 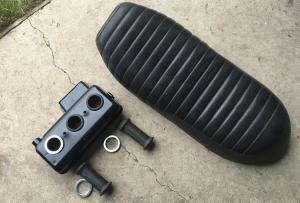 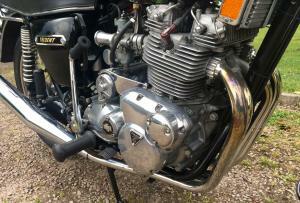 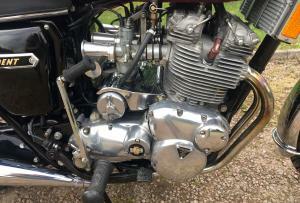 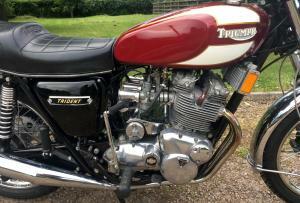 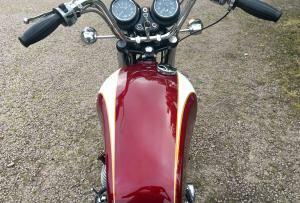 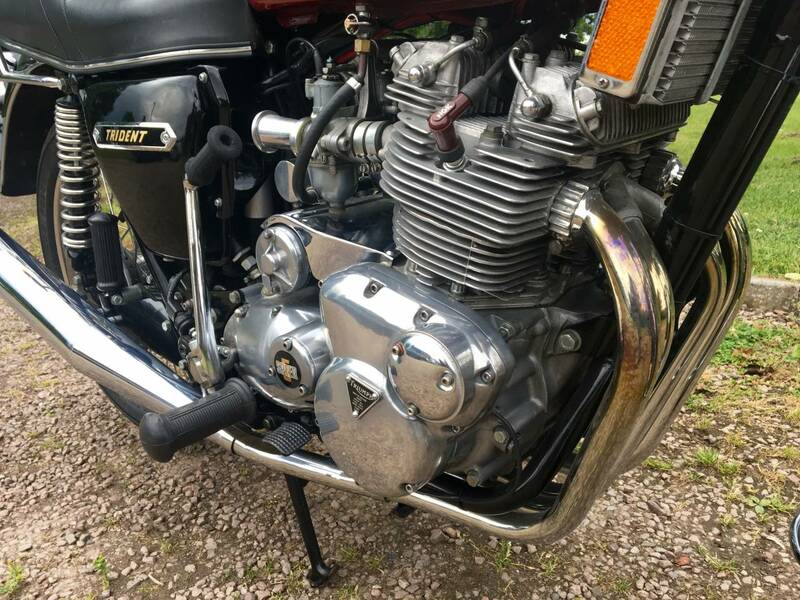 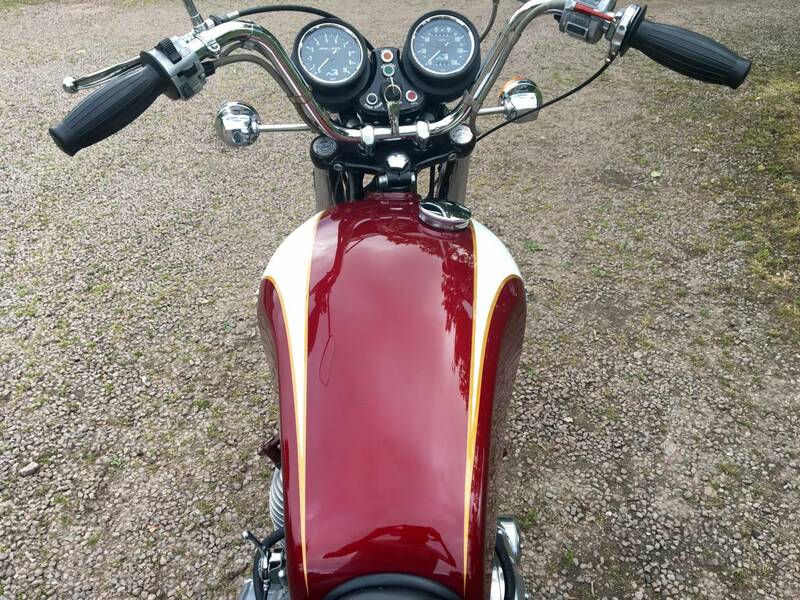 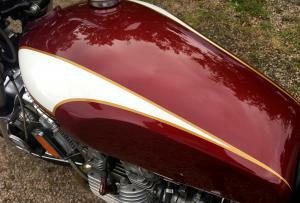 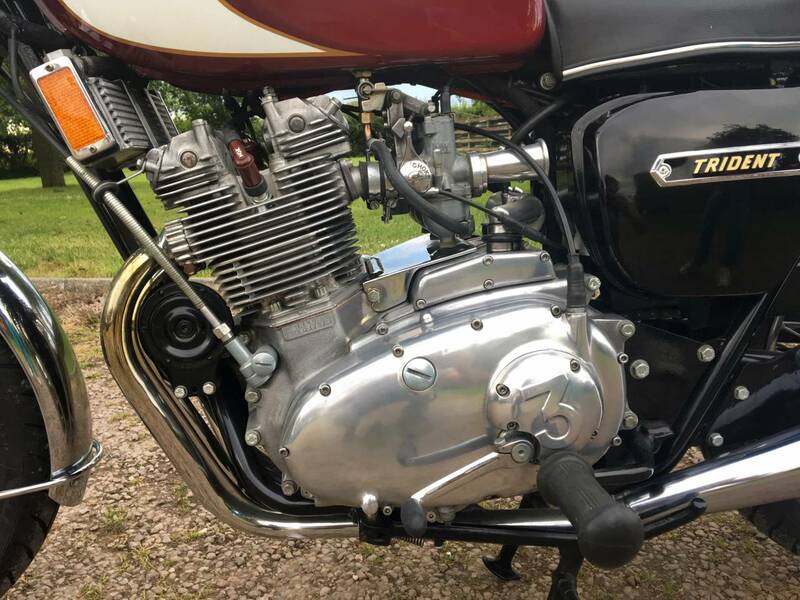 Fully Restored By A Triumph Triple Specilist And In Fantastic Condition , One Of The Best. 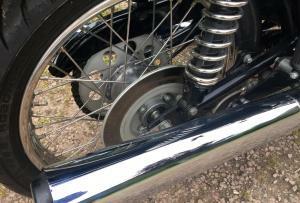 The Restoration Has Been Documented . 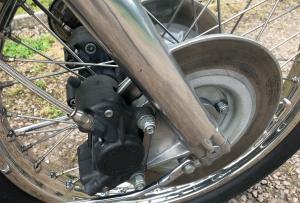 Has Twin Disc Conversion , Which Really Is A Must To Safely Stop This Rapid Machine . 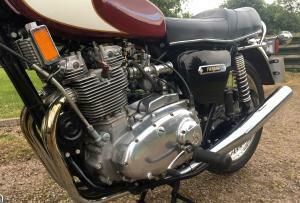 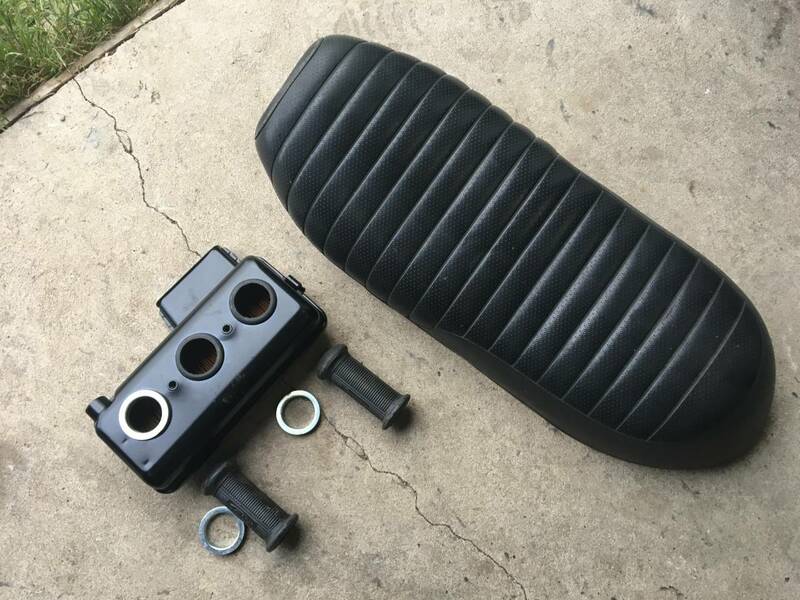 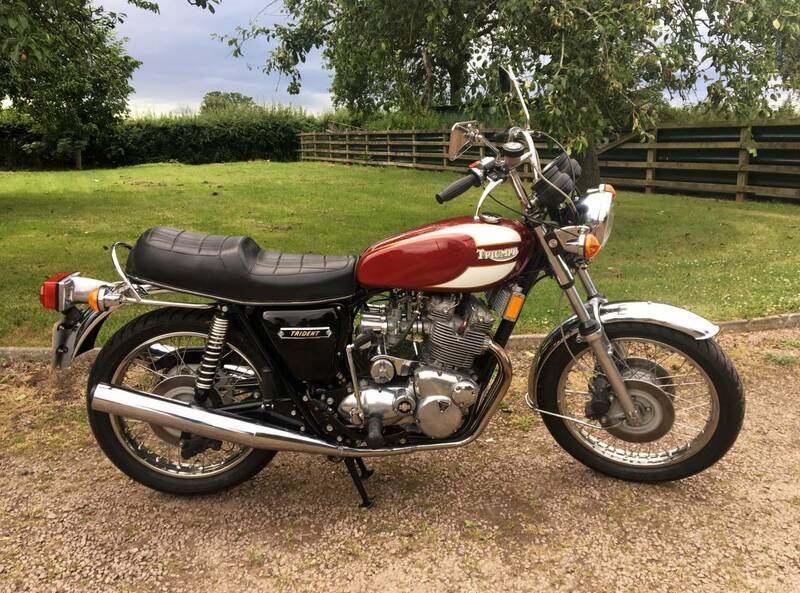 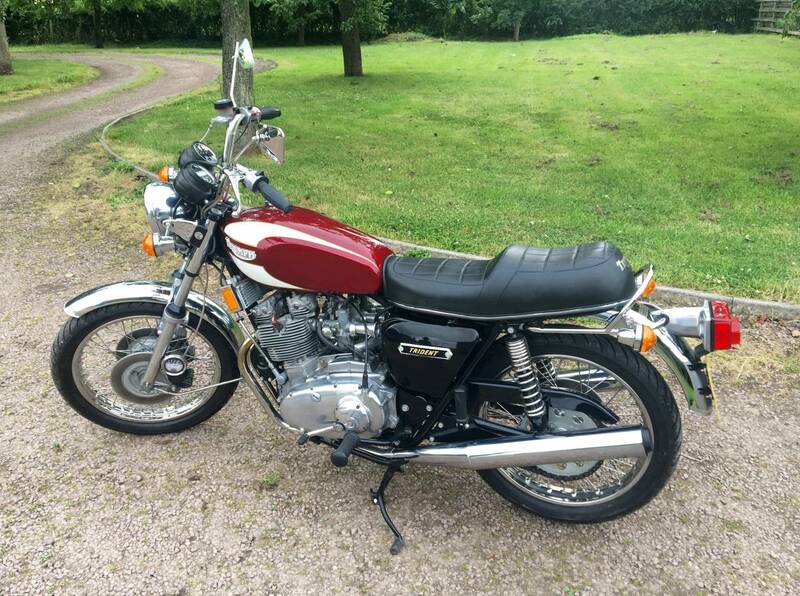 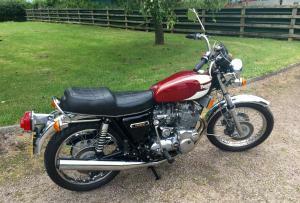 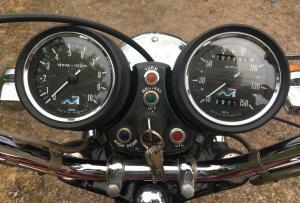 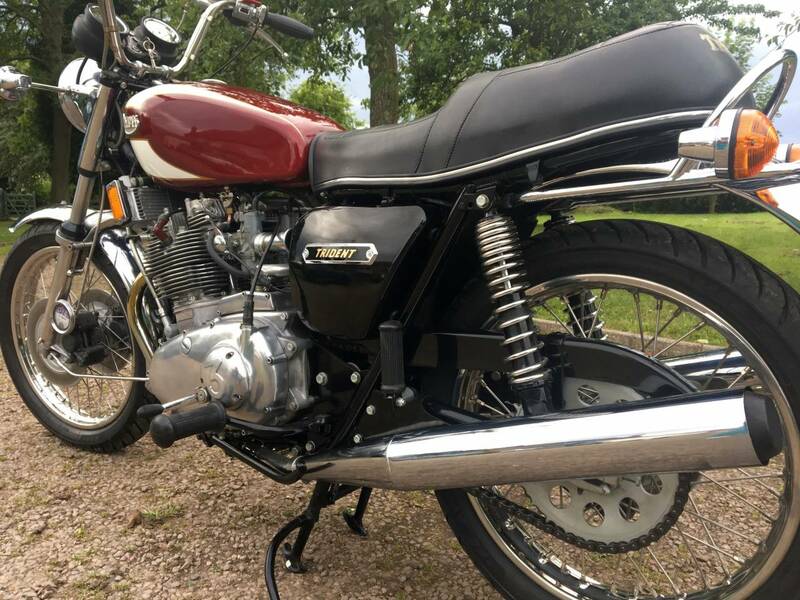 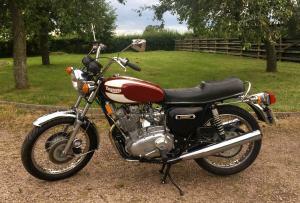 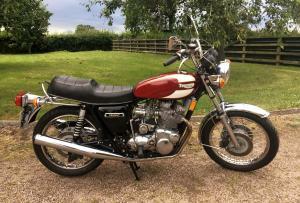 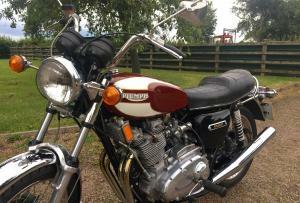 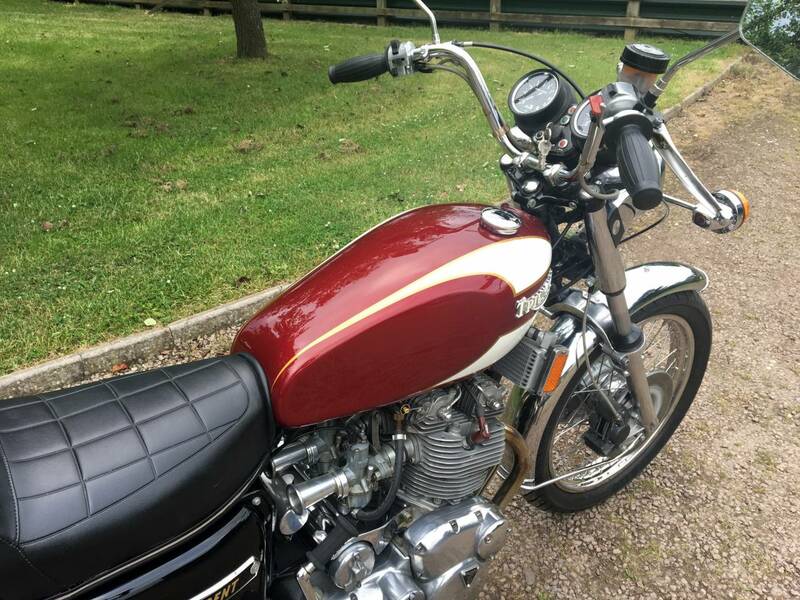 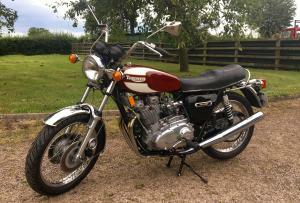 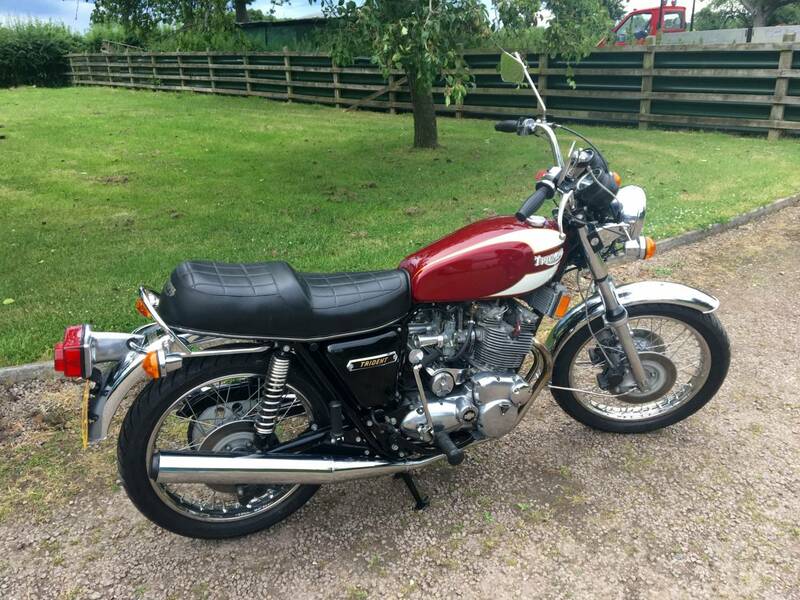 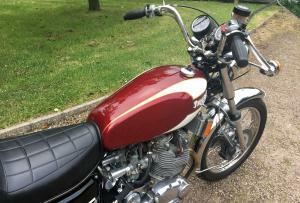 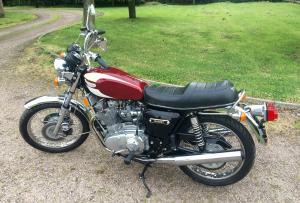 Has Matching Numbers , New Mot , Starts On The Button , Runs And Rides As New . 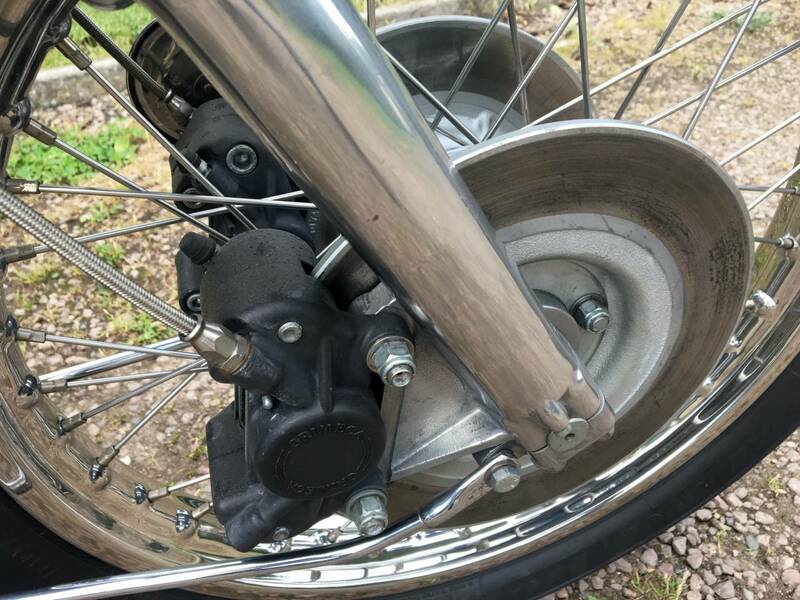 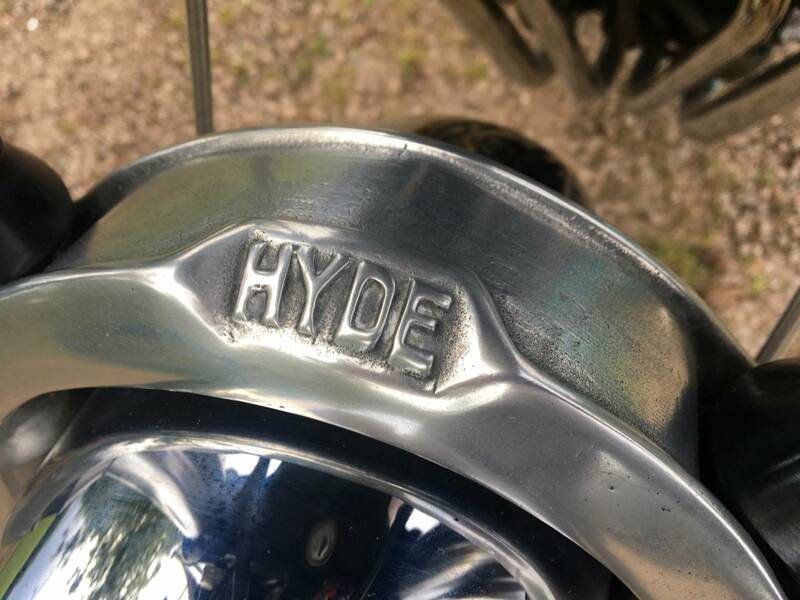 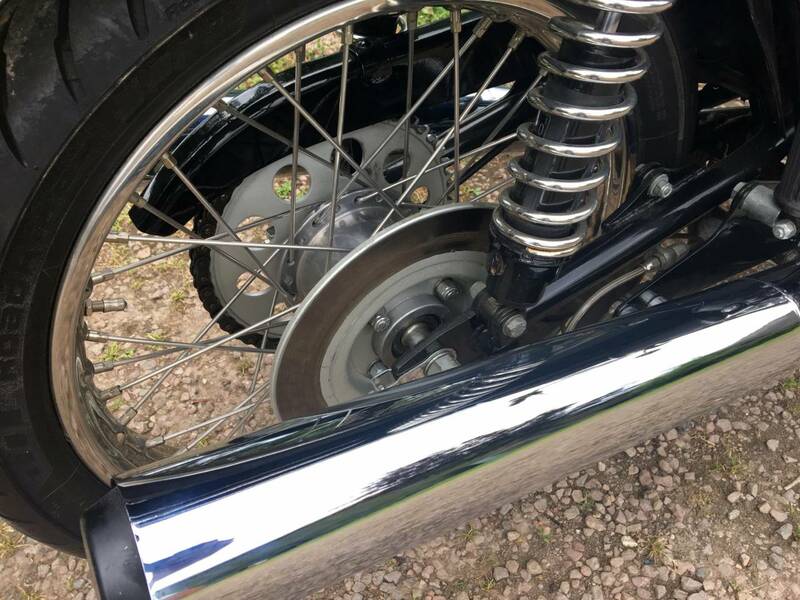 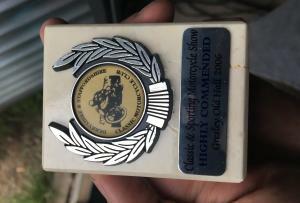 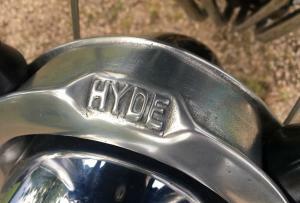 Has Covered 3000 Odd Miles Since The Restoration And Comes With SS Rims And Spokes , Hyde Fork Brace And Is An Award Winner . 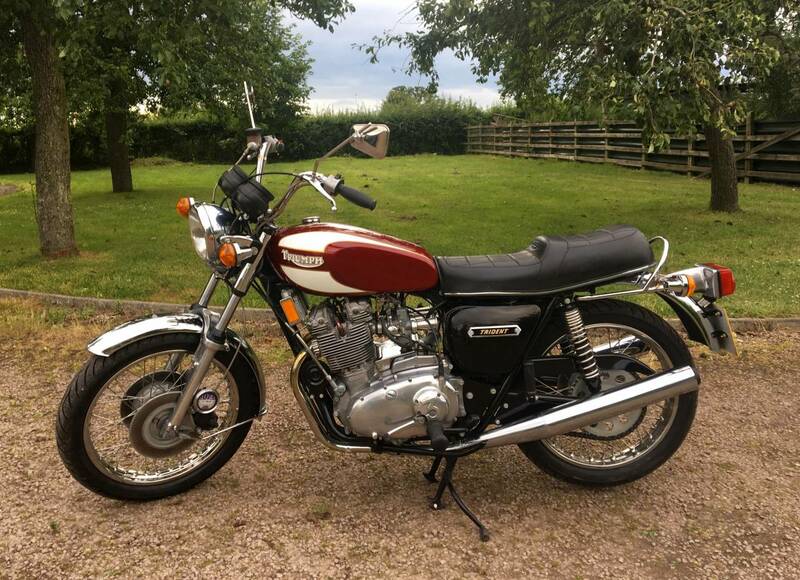 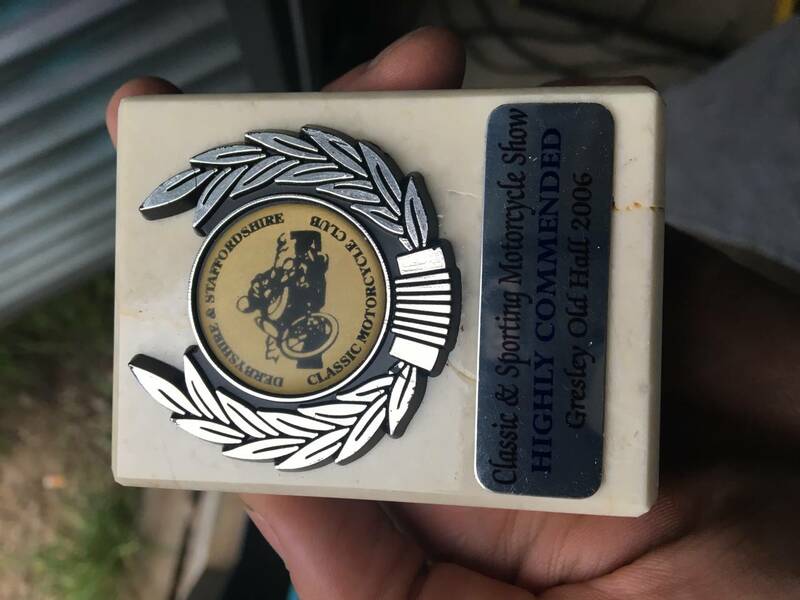 We Doubt There's Another As Good As This One For Sale Anywhere . 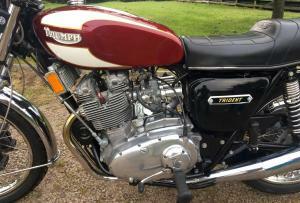 A Great Machine And An Appreciating Asset .